RECYCLING: State mandated recycling programs go into affect no later the September 15, 2011. A 95 gallon wheeled cart will be provided to each residential customer. This pick-up will be every other week. The charge for each pick-up will be $2.00 and will be billed on the regular quarterly statement for water, sewer and trash. The specific pick up day for the Town of Selbyville is every other Wednesday. 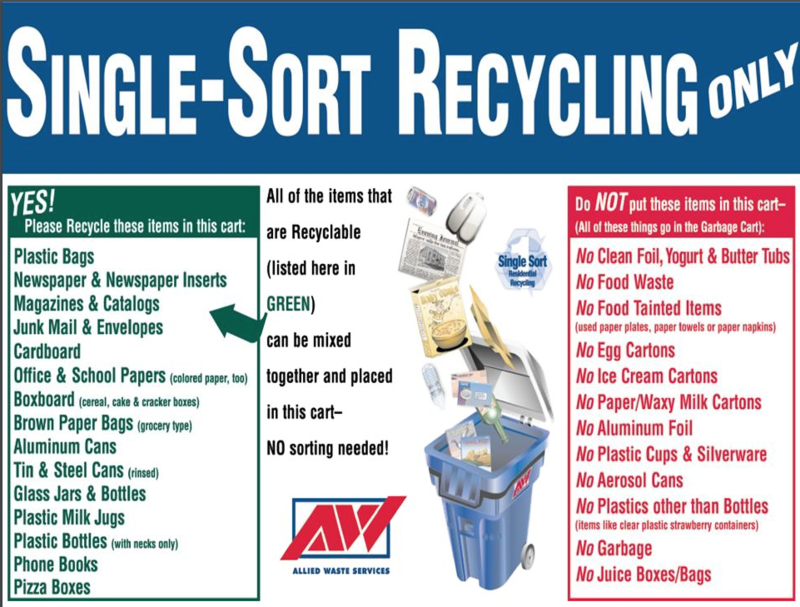 View PDF version of the Allied Waste Services flyer.